​Originally from England, Claire lived in Hong Kong for three years before eventually finding a second home in New Mexico, USA. Her genres include Historical Fiction, Action and Adventure, Psychological Thriller, Mystery and Suspense. Her novels include Chasing Pharaohs (#1 Harper Collins/Authonomy) and The Fowler's Snare, both novels of ancient Egypt. 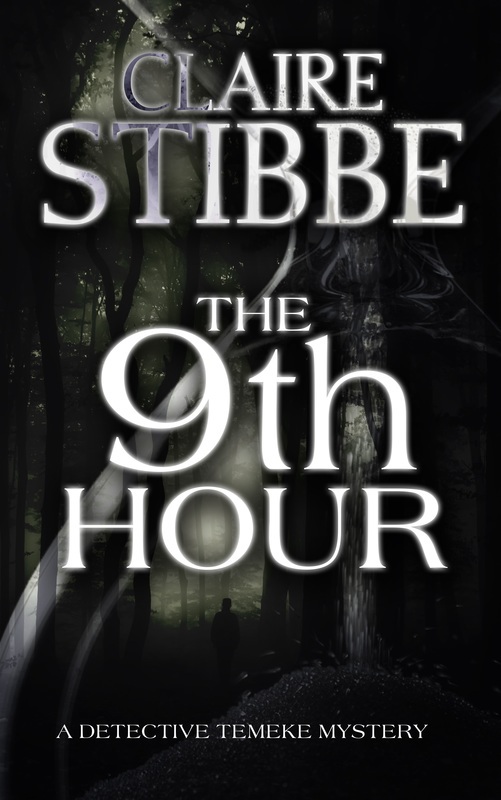 The 9th Hour is the first of the Detective Temeke series set in Albuquerque, New Mexico, and published by Crooked Cat Publishers. It is now available on Amazon. She has also written short stories for Breakwater Harbor Books Publishing. The collection won Best Anthology of 2014 in the Independent Book Awards hosted by eFestival of Words. The second book in the Detective Temeke series is currently in the editing stage and in which she explores how even in the darkness of criminal depravity the light of faith is never entirely extinguished. This is the first in the Detective Temeke mystery series. We took some time and sat down to talk with Claire Stibbe. We got to know her and her books a little better. We hope you will enjoy the interview with Claire, we did! 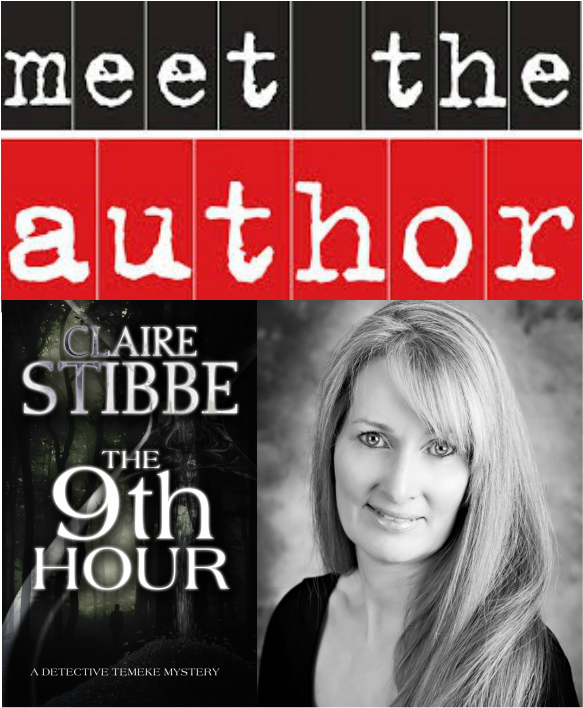 Please welcome Claire Stibbe to Rukia Publishing with her featured book The 9th Hour. Hello Claire! Thank you so much for joining us today! We are so happy to have you with us. Are you ready to get started? Hello and thank you so much for having me. I'm ready when you are! My father was a writer and knew C.S. Lewis at Oxford University. He talked fondly of the literary group known as the Inklings and wrote a book himself called Return Via Rangoon, an account of a young Chindit behind enemy lines in the Burmese jungle. After listening to my father telling stories to us in bed and ever since I could hold a pen, I began to draft my first stories. Most of these were about otters and badgers, graduating to romances reminiscent of Charlotte Bronte. None of these ever saw the light of day and for that I’m deeply grateful. It wasn’t until I showcased my first book on a Harper Collins website that I really found the passion to write. My first book Chasing Pharaohs, a novel of ancient Egypt, was published in 2014 and the second in the series, The Fowler’s Snare was published the following year. In truth, I wish I knew. But the more I read, the greater the desire to write. Most stories have been rattling around in my head for years and some pop into my mind at random. I’ve always been a fan of police procedurals, mystery and suspense, and decided to write my first crime novel, The 9th Hour, which was published by Crooked Cat Publishers in November of this year. The second book, Night Eyes, is now finished and trundling along the long conveyor belt of editing. These books are redemptive in nature and combine my English heritage with the culture of the great American southwest. The best aspects are meeting and interviewing police officers and detectives, traveling to remote parts of the state and taking photographs of the areas described in the book. I take a notepad and pencil, and sit in the many garden restaurants Albuquerque has to offer, drinking coffee and soaking up the rich smells and sights of New Mexico. It’s where I get inspiration and where my characters take over and lead the plot. They never follow the rules and I’m constantly having to change the structure. Practice, passion and peace, all in one sitting. Can’t ask for more. The worse aspects are the distractions. Life somehow gets in the way and I’m forced to put away that creative gene to deal with stuff. Oh, and then there’s social media, the guzzler of precious time. What an imposter it is. A cloudy day, light on water, wind in the trees, a smell, a taste, watching people. Books by authors who have that certain quality, an ethereal skill that makes you break out in goosebumps. How did you conduct your research for – The 9th Hour? After interviews, I usually visit the library and find a quiet sunny corner. Or Barnes & Noble. But shhh… don’t ever tell them I love curling up on those comfy chairs and reading all their books. Picking the brains of retired law enforcement whose experiences bring color to my characters and ratchet up the pace. It all helps to build a convincing and fast-paced story. The elderly. Wow, what a truckload of fruit and wisdom they have to offer. Talking to bestselling crime authors, attending workshops and generally anything that keeps me learning. He would take his last breath and become immortal. Just like his brother. The battle of good against evil was almost finished. He’d done the right thing. Only, not in the right way. The shadows gave a man that feeling, that keen instinct that something wasn’t right. Even the dragonflies with their membranous wings that wafted just above the surface of a small pond were no longer beautiful. There was a jaundiced blush about the place as if the sun would never set. There was a knot of pressure in his chest when he recalled a recurring dream, a face with milky eyes like the one on the autopsy table. It was always without a body and he would wake suddenly and be cruelly reminded he was the one who had survived. My sense of the ridiculous, my upbeat attitude and a dogged determination to do my best. Very. They have taught me so much about my writing and how to improve as an author. Readers’ reviews make these books and I’m so grateful for their support. I enjoy researching, writing reviews and snatching a few precious moments hiking with my husband. I have a regular blog called Literary Kicks where authors from all different countries and genres are featured. I love reading, watching movies with my son, traveling, photographing flowers, sightseeing, people. I’ve just finished working on Night Eyes, the second in the Detective Temeke series. Detective Temeke is called in to investigate the kidnap of a twelve year old boy. It’s a high profile case and one that includes the breathtaking sights of Gila National Forest and the Mogollon and Anasazi cultures. We can all be a little OCD at times. Thank you so much for sharing so much about yourself today. Thank you so much, Sarah and Margaret! It’s been a pleasure. We hope you enjoyed this segment with Claire Stibbe. Please take a look at the links provided and follow Claire.